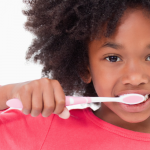 Avoiding the dentist can be hazardous for your health. Did you know that tooth enamel is the hardest mineralized tissue in our bodies? As strong as it is, enamel does have a breaking point. Chewing on hard candy or ice, forgetting your mouthguard when playing sports, falling, or advanced tooth decay can cause your teeth to crack or break. When you realize you’ve broken your tooth, common reactions are pain, panic, and fear. Pain from breaking your tooth, panicking about what to do next, and fear about how you’ll afford to repair your tooth. If the thought of paying for an expensive dental procedure has you heading to your local corner store to save on broken tooth repair – stop! If you ever break or chip a tooth, call a dentist immediately! There are no over-the-counter remedies for broken teeth. You must see a dentist as soon as possible for this problem. One of the main reasons people avoid seeing dentists is because of cost. 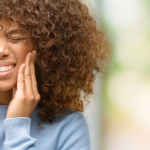 Even with more serious cases of broken or fractured teeth people still avoid seeing the dentist because they are unable to afford the sometimes expensive repairs that are needed. While while that´s a valid concern, the problem is that the cost of neglecting broken teeth is always higher. 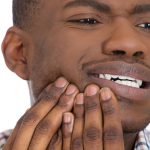 At worst, an infection can begin, spreading to your jaw and mouth. 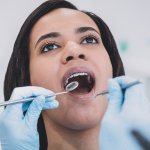 Because Penn Dental Medicine is a dental school that allows you to save on broken tooth repair without choosing between your health and your budget. If you think you’ll be putting your smile in the hands of inexperienced students – think again! Our student doctors are at the last phase of their schooling while being trained and mentored by some of the best dentists in the profession – our Penn Dental Faculty. While our faculty doctors responsible for shaping the next generation of top dentists, our patients are equally important in this process. Our patients are the reason Penn Dental is able to assure the success of our student doctors. Learn about the 4 most common procedures used for patients with broken teeth. Depending on the severity of your broken, fractured or chipped tooth there are a few ways to repair your smile. Bonding– This is a procedure where the composite material is molded over the healthy part of your tooth to correct the damaged area. Veneers– Porcelain veneers are wafer-thin sheets of material designed to be bonded to the front of the tooth to transform the tooth’s appearance. Crowns– If your broken tooth hurts when you chew, you may need a crown. Crowns are one of the most common restorative procedures. A crown is a cap that covers and protects the entire tooth,preventing further damage. Dental Implants– If the break in your tooth extends past the gum line, your tooth cannot be saved. This requires a broken tooth extraction and a metal post will be implanted in your jaw and act as your new root. Dental implants look and feel just like your natural teeth. If you want to save on broken tooth repair then it’s time to contact Penn Dental Medicine where you’ll receive quality patient-centered care at an affordable cost to you.